He completed his BAMS in the year 2005 after which he did his PG Certificate course in Panchkarma. Dr Chandan had the opportunity to work as Doctor on duty with various hospitals since 2005. In 2008, he completed a Yoga Teachers’ course from Bihar School of Yoga. He has been with the Healing Hotel Ananda in the Himalayas for many years now. 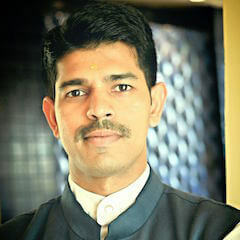 Prior to this, he was working as a Yoga Consultant and Ayurvedic Physician with Brahmi Ayurvedic Center, Bangalore.